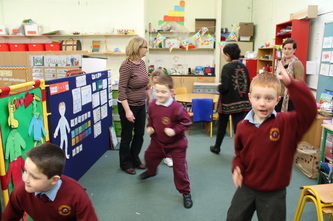 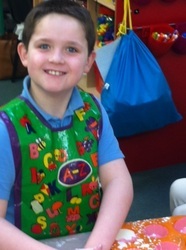 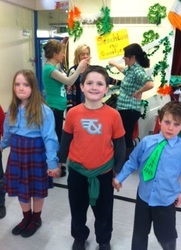 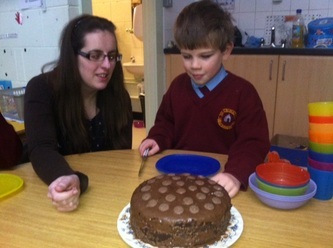 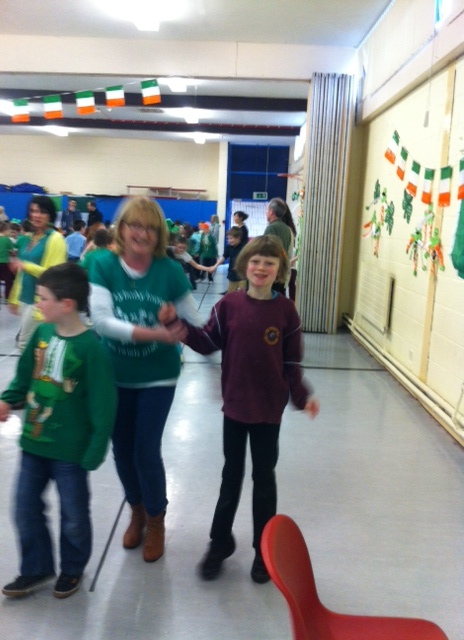 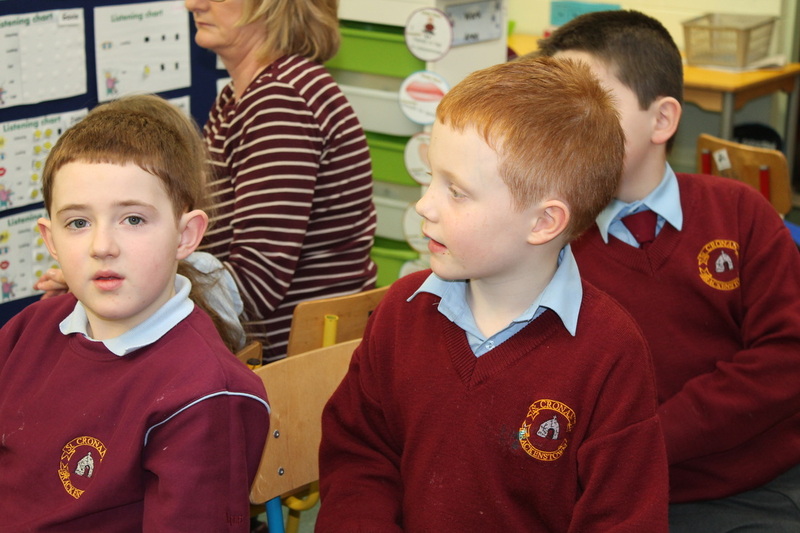 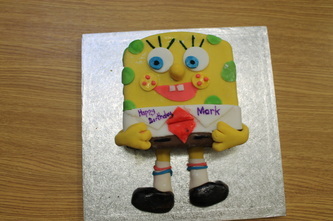 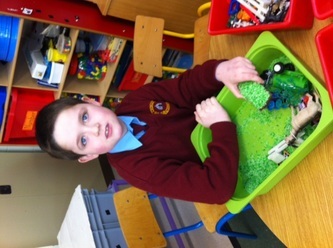 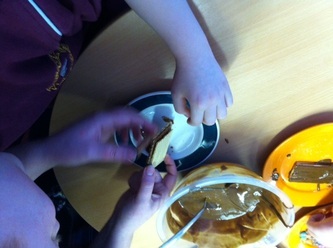 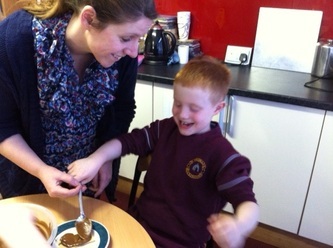 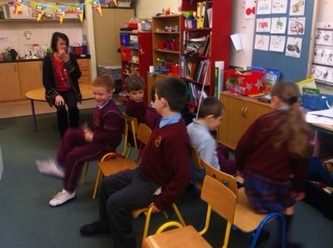 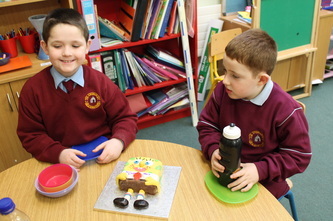 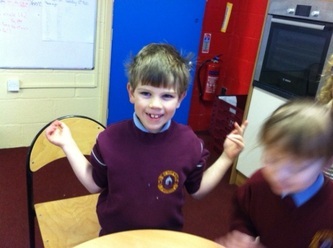 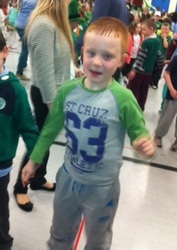 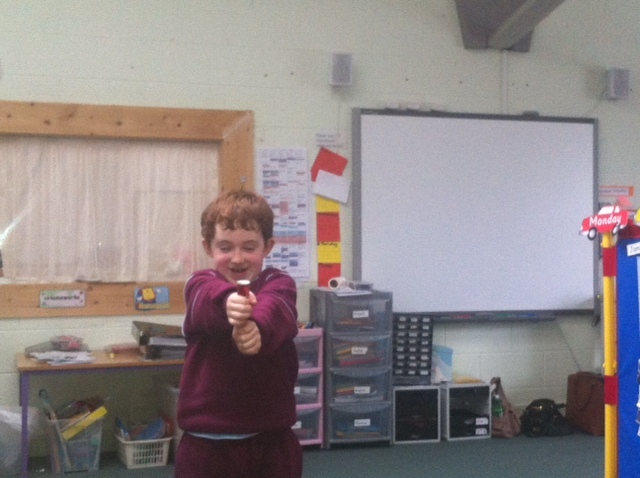 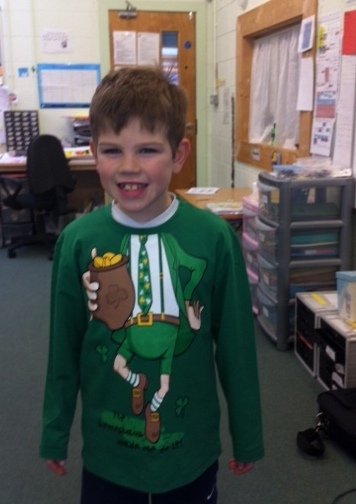 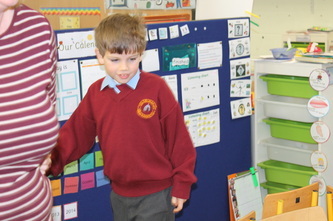 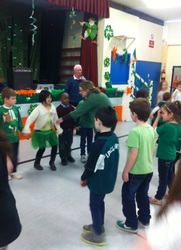 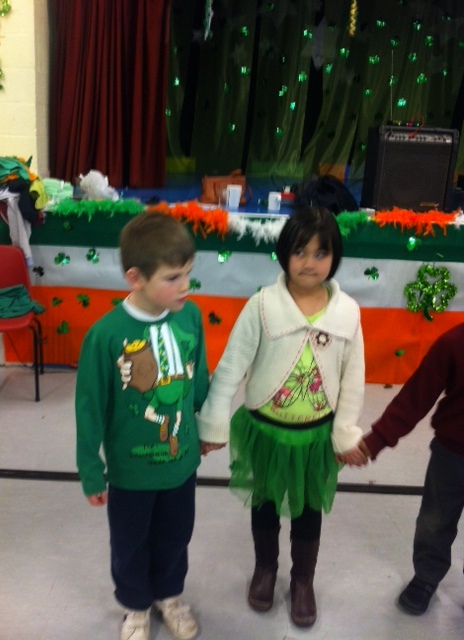 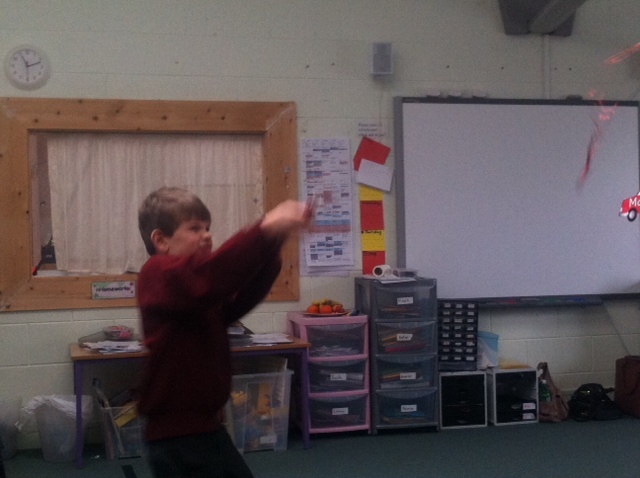 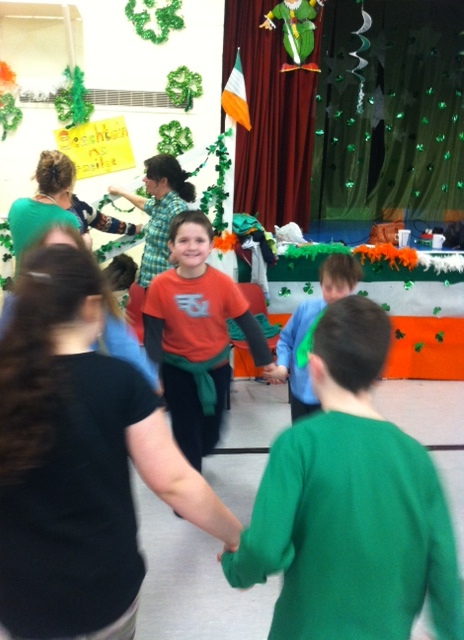 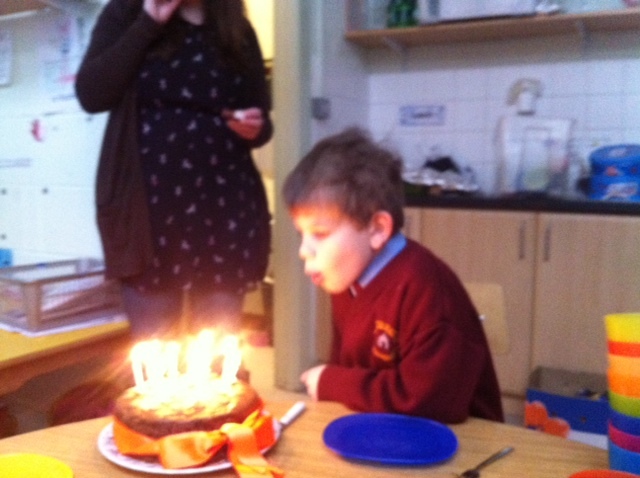 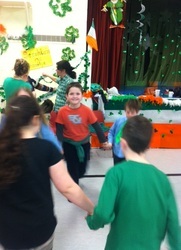 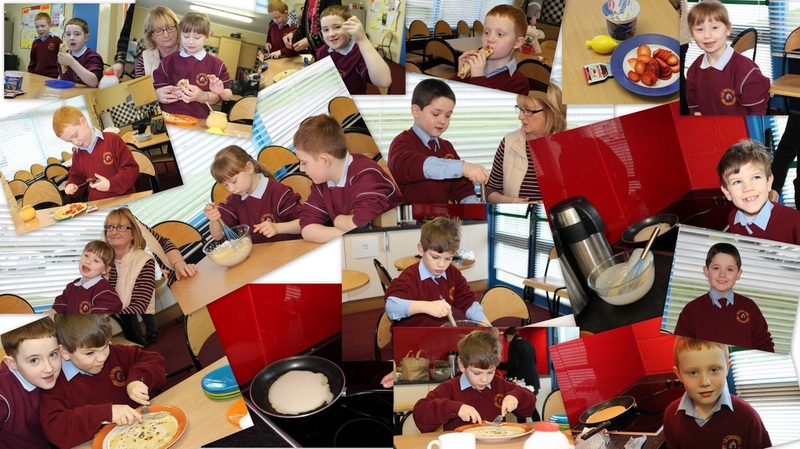 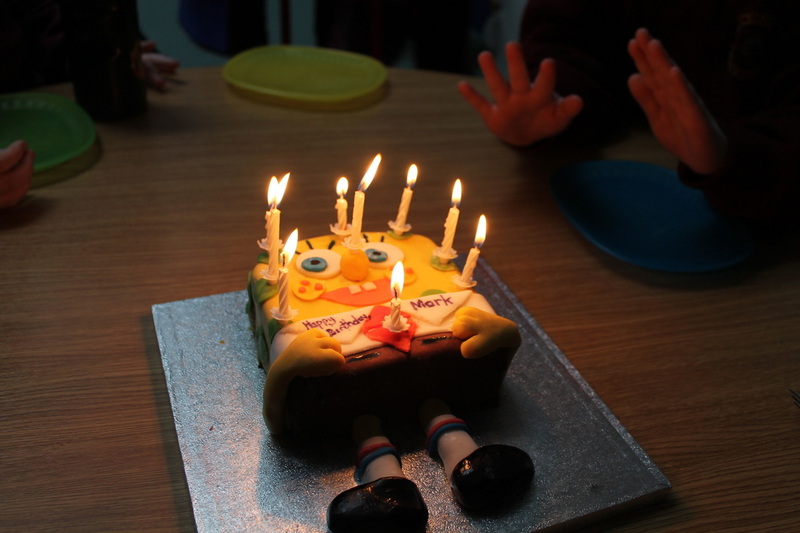 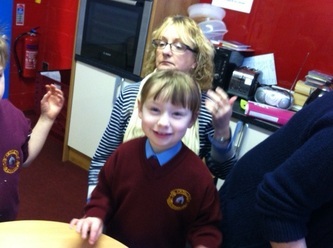 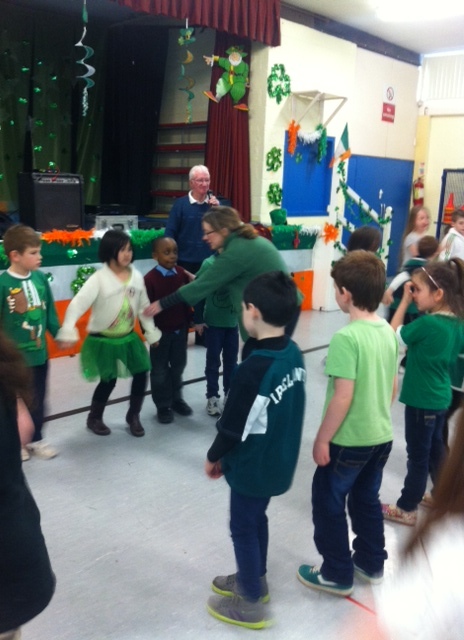 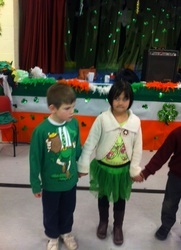 We hope you enjoy looking at our photos and finding out about what we are doing in the BuzzClub. 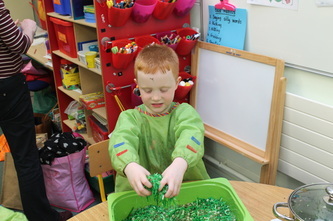 To learn more about the Buzz Club enrollment policy click the button below. 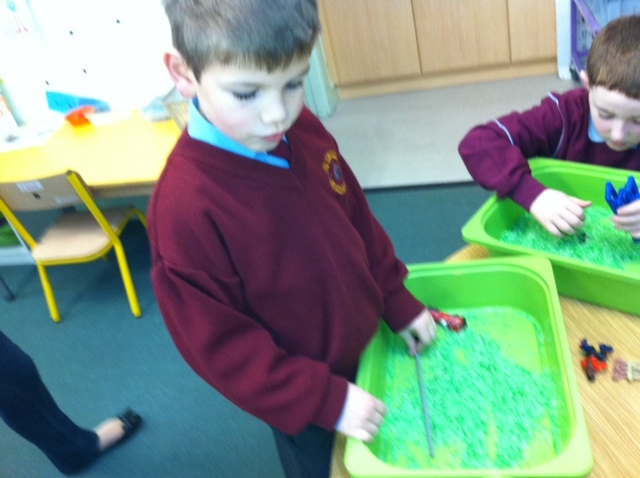 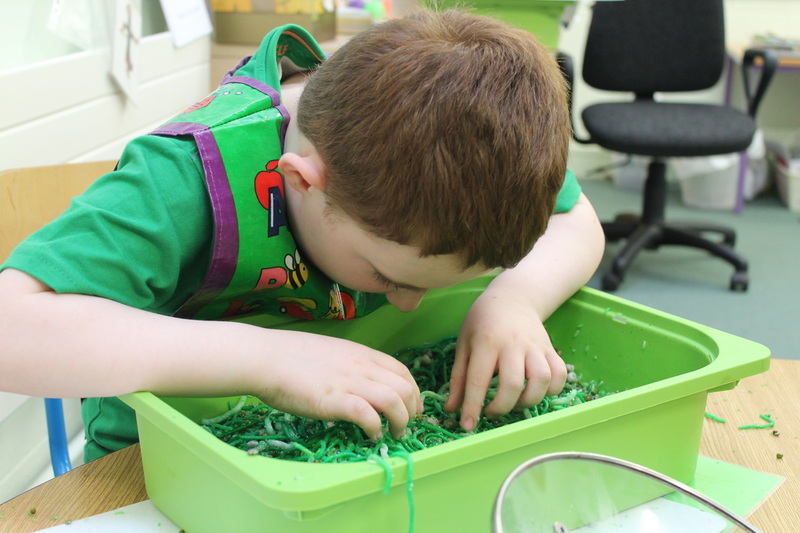 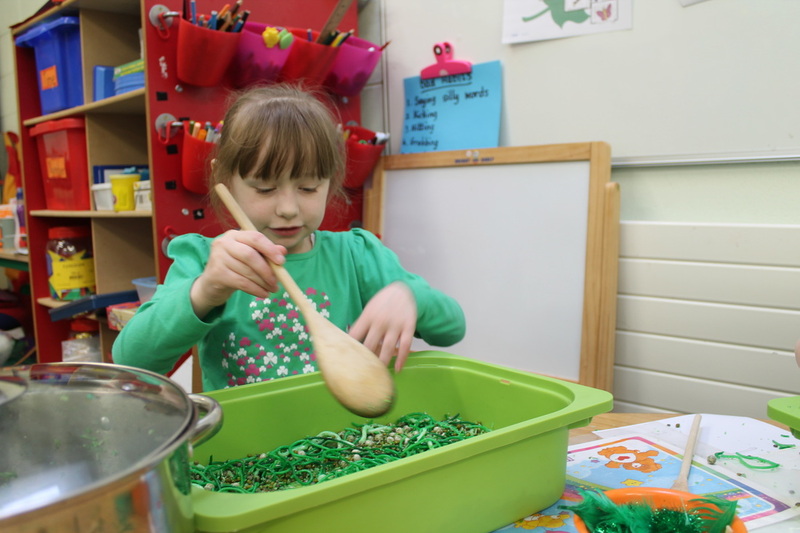 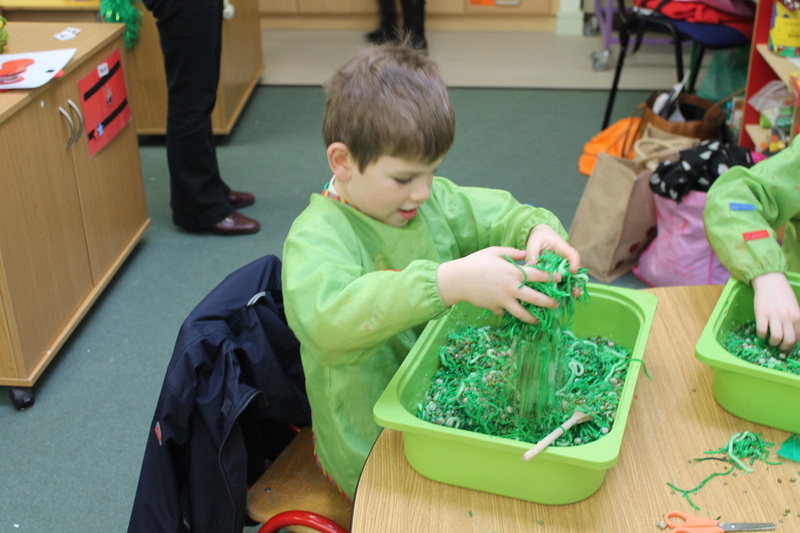 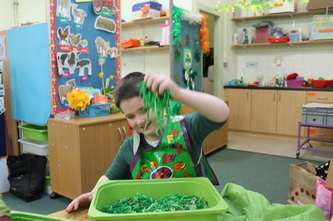 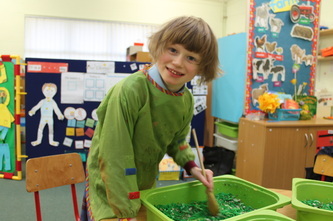 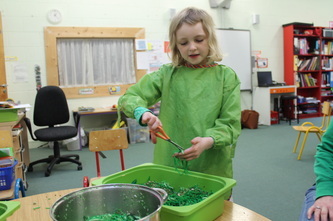 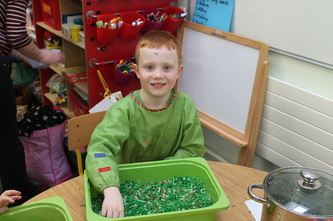 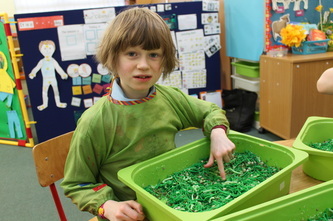 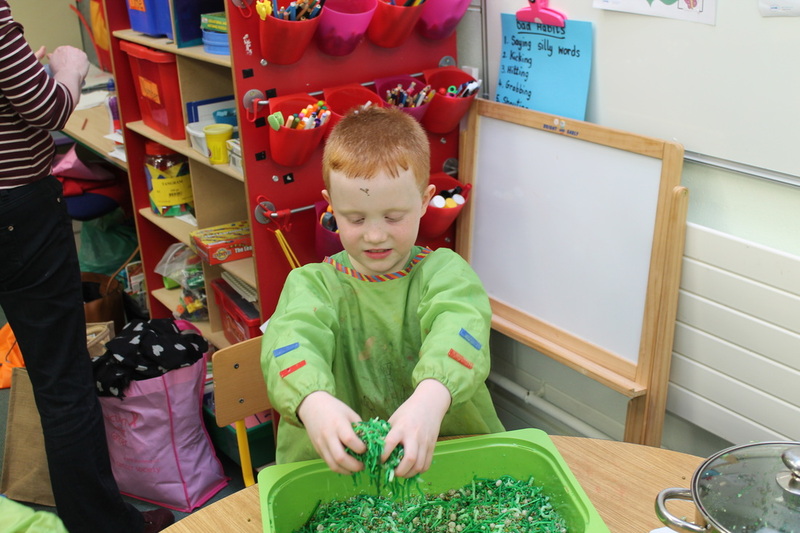 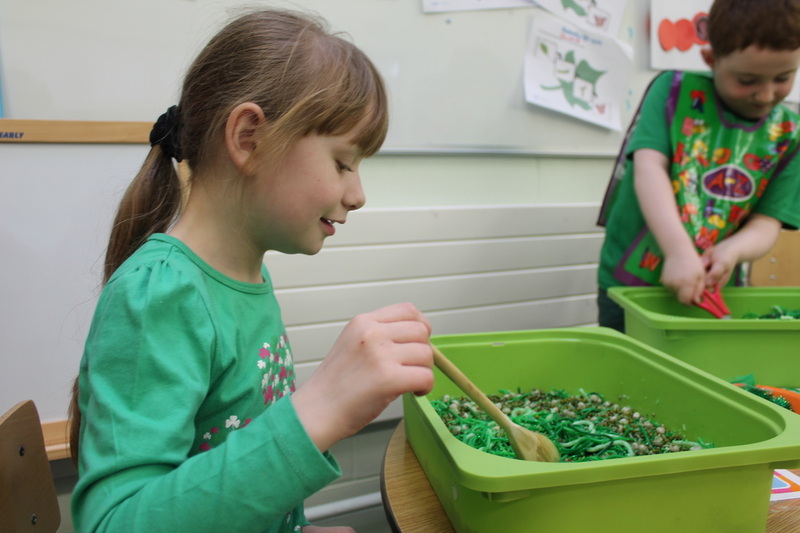 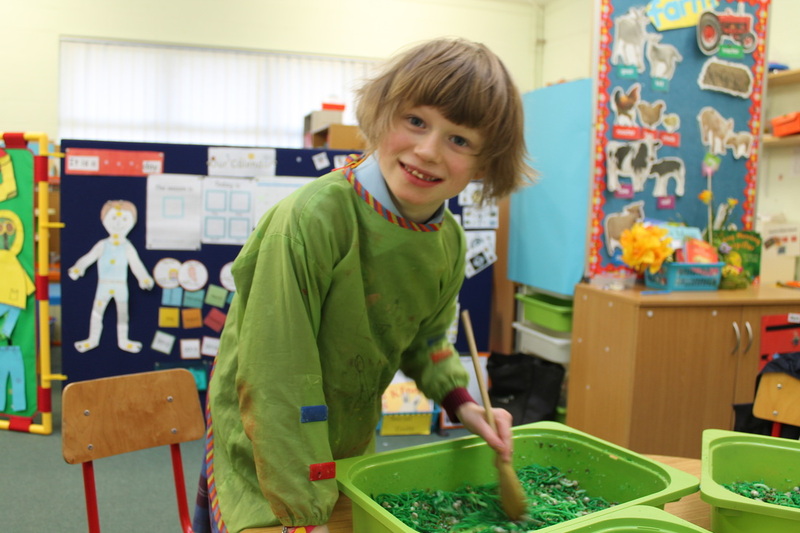 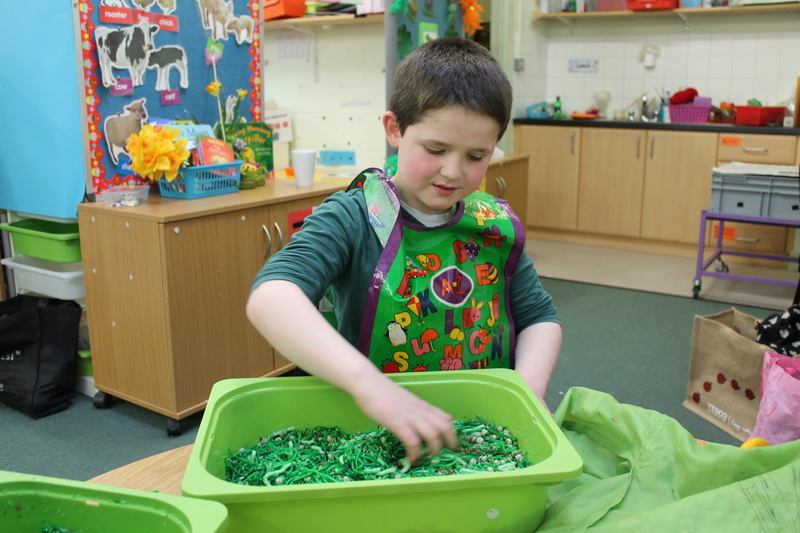 We were very brave this week when we searched through the disgusting green spaghetti to find the Leprechaun's gold which was hidden in it. 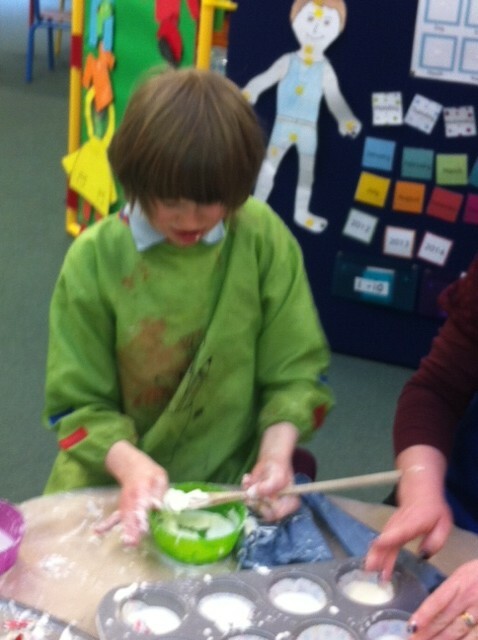 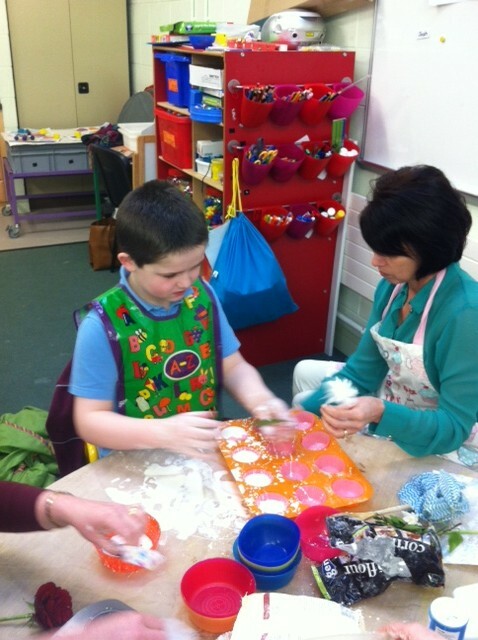 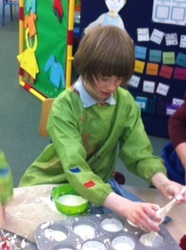 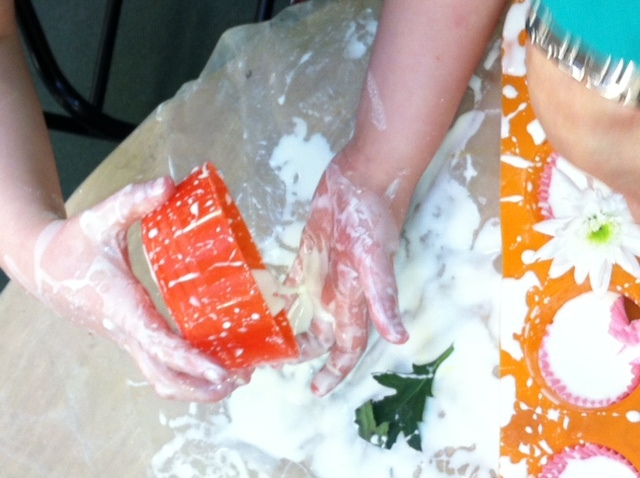 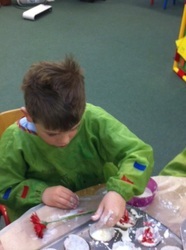 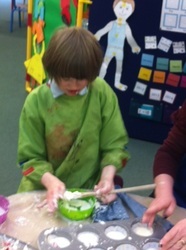 We used cornflour and water to make goop cupcakes then we decorated them with flowers. 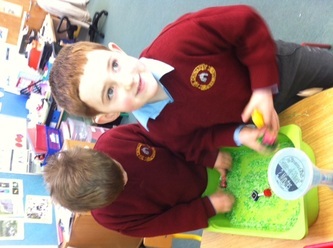 We are designing farms using animals, coloured rice and construction materials. 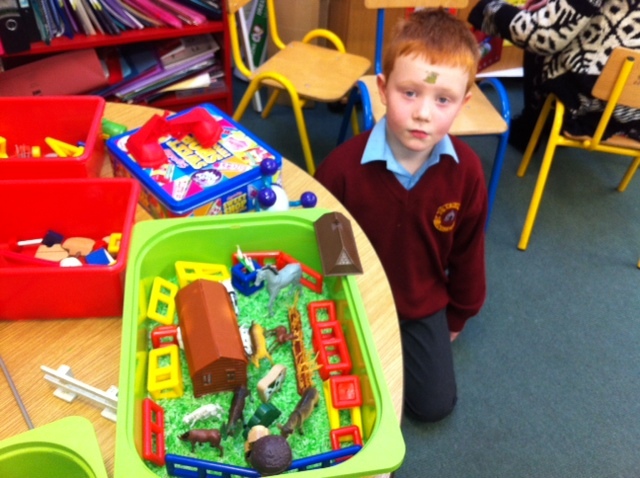 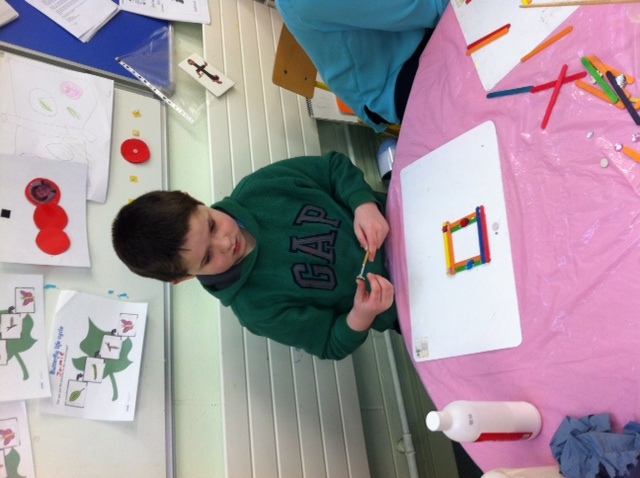 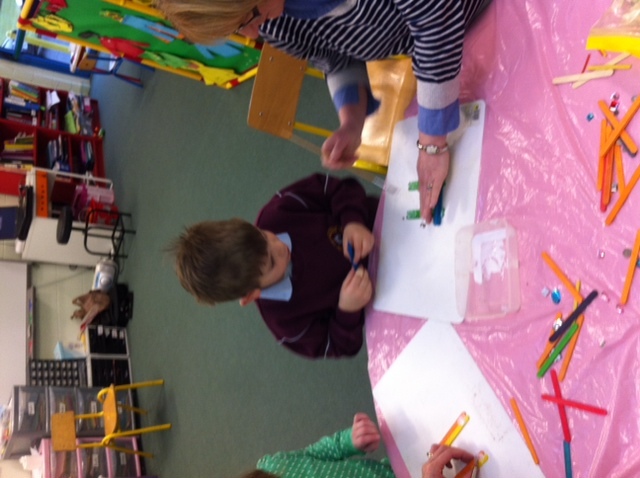 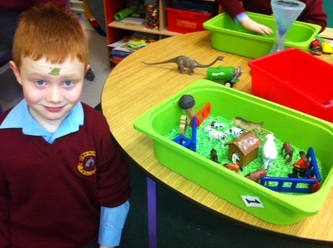 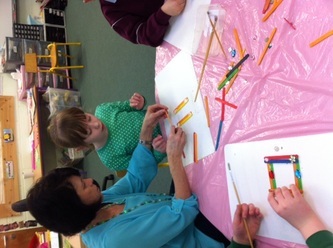 We enjoyed being creative, one of our farms even had an ice-cream shop for visitors. 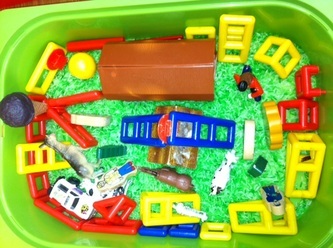 Our theme this month is transport. 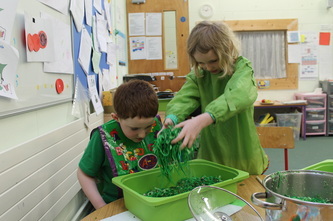 We made traffic light treats. 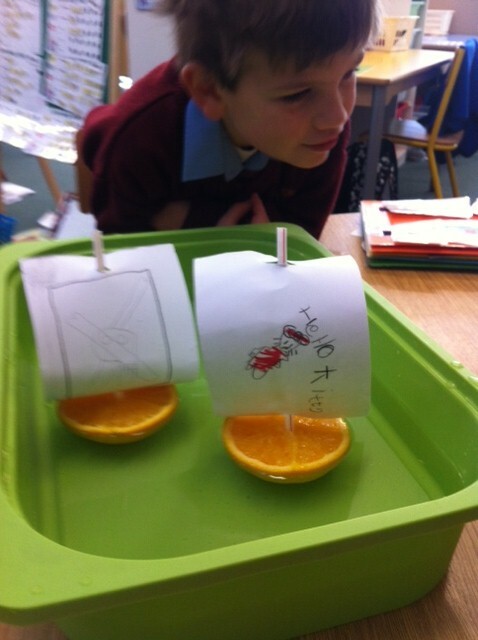 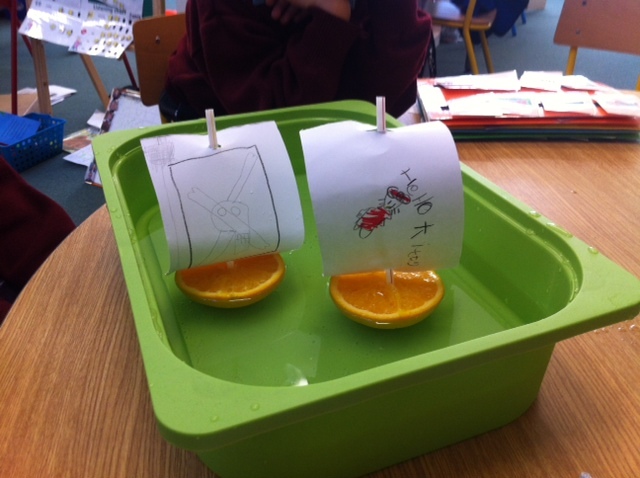 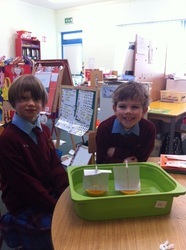 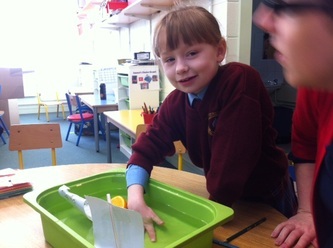 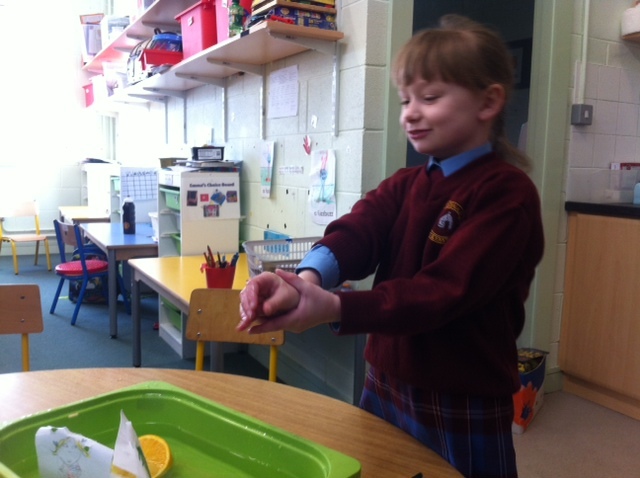 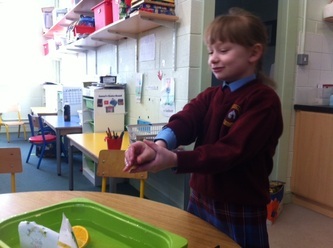 We also designed and made boats. Then we tested them out. 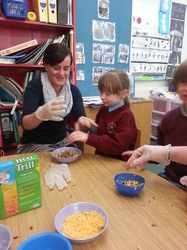 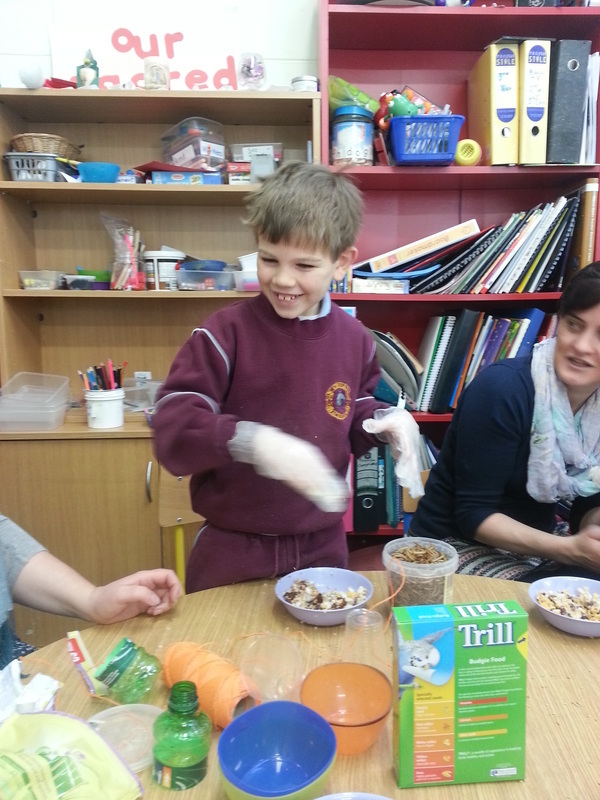 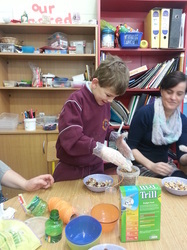 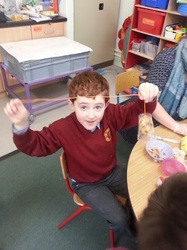 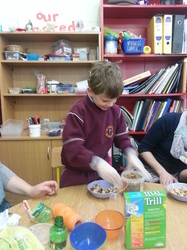 We made bird feeders to help the birds in winter. 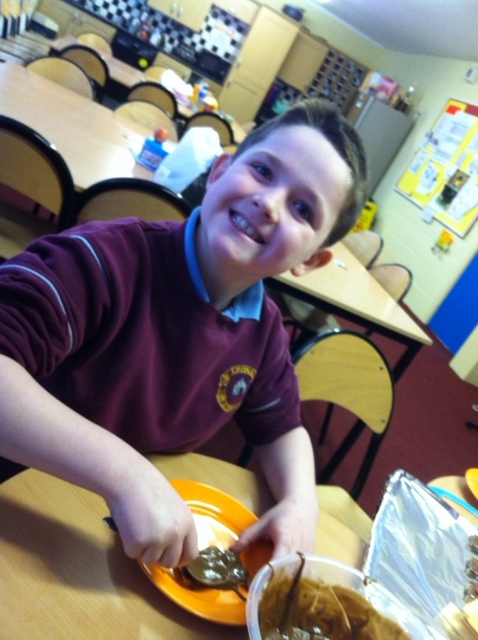 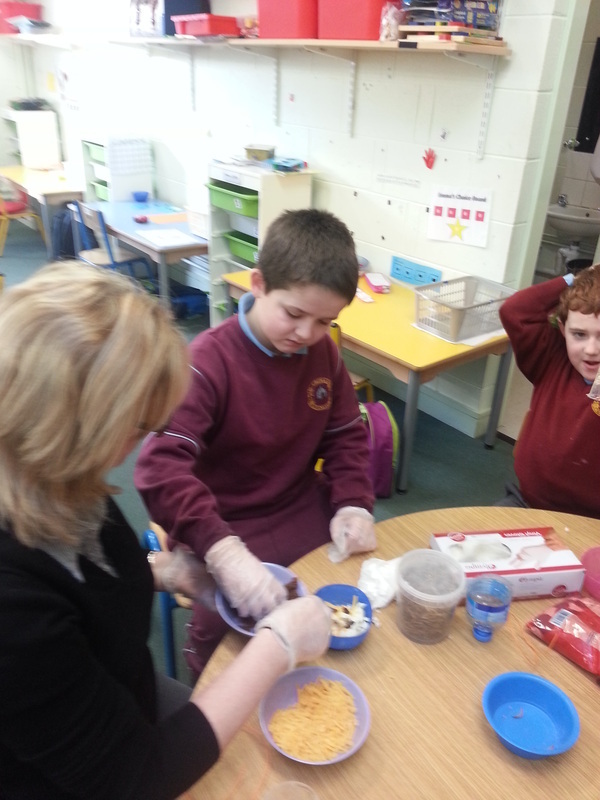 We used fat, cheese, seeds and WORMS! It was disgusting but we enjoyed it!